Thanks to Twitter’s 140-character limit, space is of the essence. That’s where Bit.ly comes in. A simple URL shortening tool, Bit.ly lets you access a dashboard where you can shorten multiple links at once and share them to all of your Twitter accounts. You can also access analytics for each of your Bit.ly links or use the tool to create a custom, short domain for marketing purposes. HootSuite is a popular platform that allows you to track the success of social media campaigns and manage social media activity across several different platforms from one organized dashboard. HootSuite offers free and paid versions, so there’s something for every budget. 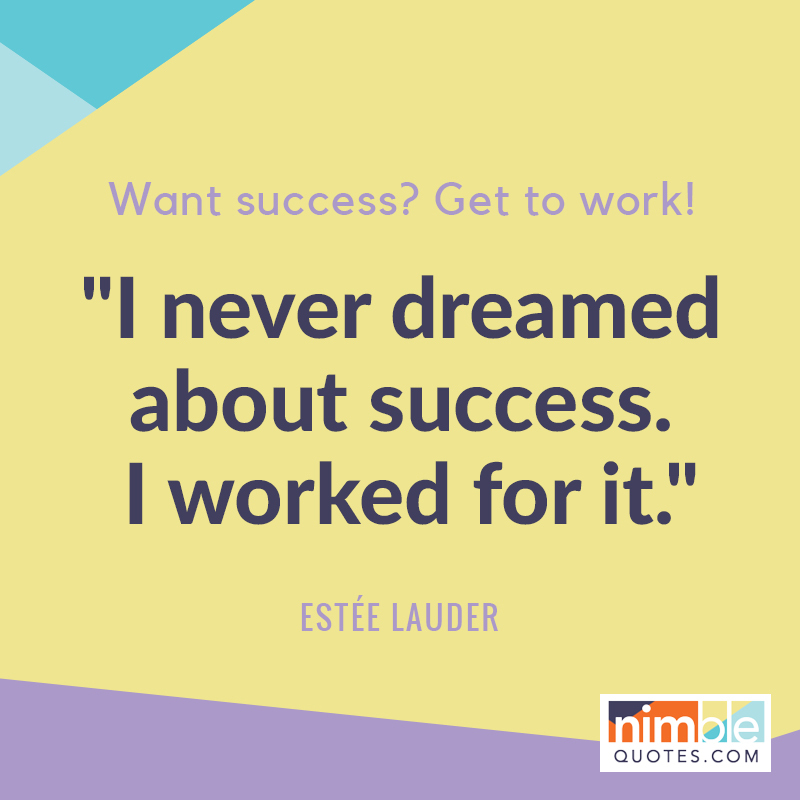 Nimble Quotes is a dream service for the busy Twitter marketer. An auto-posting tool, Nimble Quotes collects inspirational business quotes that have been curated from around the web and allows you to schedule them to be shared on your Twitter account. Use Nimble Quotes to set custom hashtags, bar quotes from certain authors from appearing, and enhance your Twitter presence. Plus, since each of the business quotes Nimble Quotes Tweets has been thoroughly vetted, you know that your Twitter content will always be clean, user-friendly, and non-controversial. With so many social media tools for businesses, it can be difficult to choose which ones will best suit your company. Fortunately, these three are a great place to get started. In addition to making your Twitter interactions easier these tools are also great for the busy marketer who wants to manage Twitter without all of the stress of doing it completely alone. Nimble Quotes is perfect for marketers who want to use motivational business quotes to grow their Twitter presence, while both Bit.ly and HootSuite are great tools for finding out exactly where your company stands in the Twitter-sphere and becoming more organized in all of your Twitter interactions. For more information about the benefit of posting business quotes on Twitter check out Nimble Quotes team today. Do try the 30-day free trial. Nothing to lose! Overcoming challenges can be difficult. We may have to deal with them in our families, businesses, friendships, and more, which can be overwhelming. To help push you through, here are some inspiring quotes, courtesy of the YouEarnedIt Blog. FYI: If you’d like to share these quotes on Twitter with your followers, we can help. Challenges are hard and nobody likes facing them. If you’re dealing with difficulty right now take comfort in the fact that when you make it through, you’ll come out with a stronger mind, body, and spirit. Think of it as a mental exercise: it’s rigorous but the results will be worth it. Let’s face it, we’re going to be challenged in our lives, families, and businesses. But whether we choose to be defeated by these challenges or overcome them is totally up to us. Instead of focusing on hardship, focus on how you can overcome it. Challenges come in all sizes. We’d prefer they be small, easily manageable ones, but that’s not always the case. Luckily, Molière reminds us that the larger our obstacles, the better we should feel when we defeat them. Sometimes our challenges do nothing more than show us how strong we really are. Depending on the challenge, we may be pushed to our limit and barely able to continue moving forward before things finally start to get better. It’s in the toughest moments that we learn what we’re really made of. We all face challenges that we have to overcome. Give your followers a push by posting inspirational quotes on Twitter. 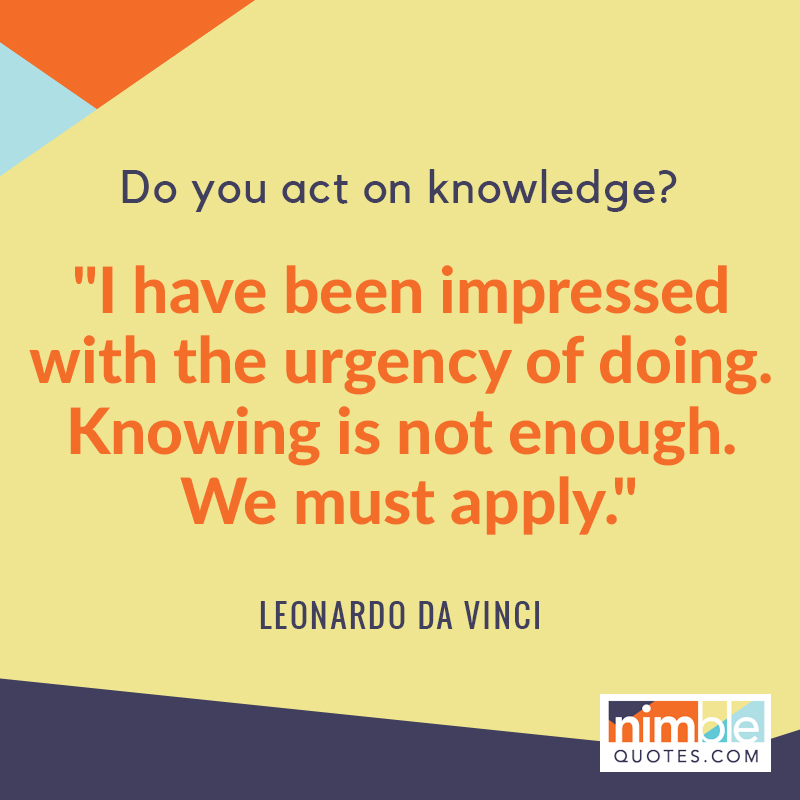 If you’re unsure of how to get started, contact Nimble Quotes. We can help you regularly share positive content with your followers using proven social media tools like auto-posting for maximum engagement. The folks over at Bright Drops collected 33 Inspirational Quotes All Women Need to Hear. After reading through their list, we pulled out three of our favorites (that would also make great quotes on Twitter!) and examined them for you below. We hope you’re as inspired as we were! It can be difficult to take responsibility when you’re hurt, but you must stop blaming other for how you feel! Sure, people may say negative, hurtful, and frustrating things to you at times, but these words can’t hurt you unless you let them. Listen for truth in someone’s words, not emotion. Use the truth to make you a better person and don’t let someone else’s emotions get you down. Standing up to your enemies requires a lot of courage, but Rowling is right – sometimes standing up to your friends requires even more. We always want to be on a friend’s side, but when we know something isn’t right, we should be courageous enough to speak up. We may lose the friend, but at least we’ve stayed true to our beliefs. 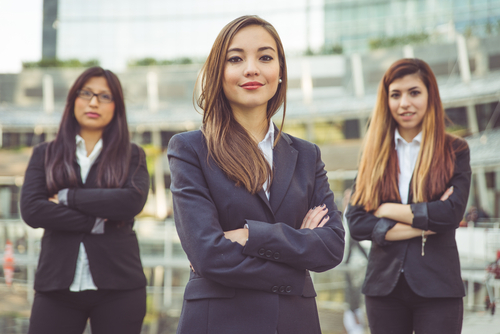 Women are born with more power than we may realize, and we should take advantage of that power in everything we do. Not only that, we’re also beautiful! As women, we tend to obsess over our looks and completely miss one obvious fact: we’re already beautiful and don’t need anything more to make that it true. Weren’t those inspirational words great? If you’d like to share these and similar quotes on Twitter with your followers, contact Nimble Quotes today. We’re a leading content service for Twitter users and can help you supplement your existing social media to attract new followers and increase engagement. There’s no question about it: working with a service that automatically posts relevant quotes to your Twitter account can save you a lot of time and help you inspire your audience. To get the most out of a service like this, though, there are a few things you need to know. Follow these tips to ensure that you’re exercising great auto-tweeting etiquette both now and in the future. A Tweet is only as good as the time it’s sent out, and this is especially true for inspiring business quotes. Because business quotes are meant to be shared, they’re effective if posted at a time when your audience is engaging on Twitter. Because of this, it’s important to ensure that you’re dedicating the time and energy to figuring out when the best time to Tweet is. Keep in mind that this depends largely upon your time zone and your audience. According to Buffer, however, the best time to tweet (based on a survey of 4.8 million Tweets) is the early morning. Tweets get the most clicks during these hours. However, just because a survey says it is the best time to Tweet, doesn’t mean it is the best time for your audience. Don’t be afraid to experiment with your Twitter post timing in order to figure out what really works for you and your followers. There’s nothing so damaging to a Twitter presence as posting insensitive or controversial material. This is a more pronounced danger for people who use other auto-tweeting services, which aggregate third-party content for a Twitter account. Fortunately, Nimble Quotes has eliminated the need for this concern. Our researchers spent countless hours finding and vetting only the most inspiring and motivational quotes. Knowing full well we’d have to earn your trust to be able to tweet on your behalf, we were relentless about only collecting the quotes that would enhance your positive sentiment. This helps you maintain the standing of your Twitter profile and avoid conflict with your followers. Auto-Tweeting isn’t a “set it and forget it” endeavour. To get it right, you’ll have to experiment to find out what works for your audience. Don’t be afraid to make adjustments to timing, hashtags, or frequency as you go. Doing this can help improve your Twitter presence and build your following. Remember, people do look at Twitter after business hours and your audience may be global – so all time zones do matter! A service that automatically posts relevant quotes to your individual or business Twitter account can save you time and help you inspire your audience. 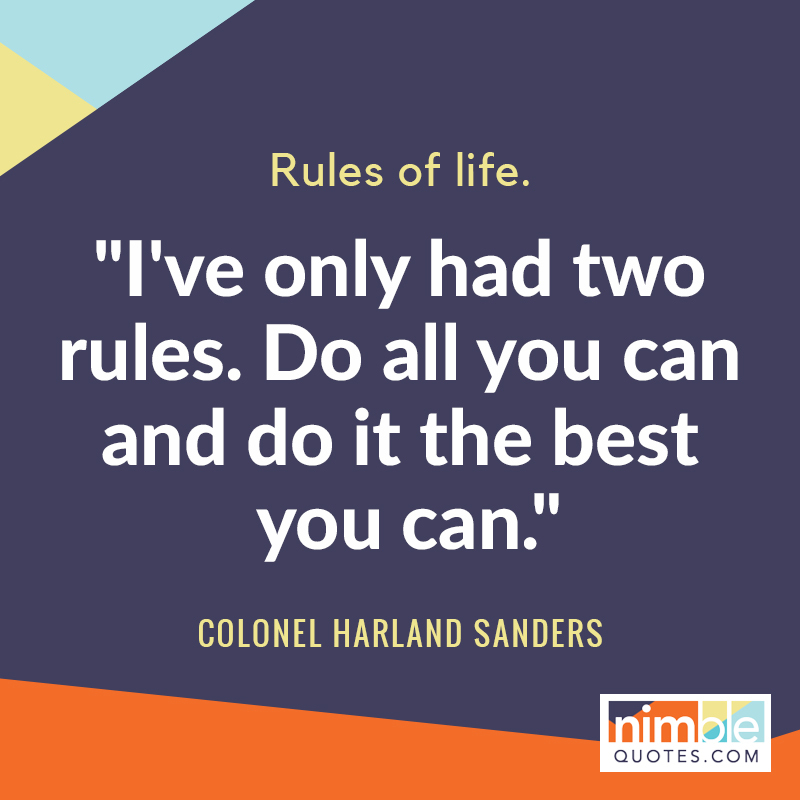 At Nimble Quotes, we’re here to help you enhance your Twitter presence and provide some emotional connection to your followers through motivational business quotes. Try out the 30-day trial today. Moms are the foundation of a family. They give us the love, care, and adoration that we often have trouble expressing gratitude for. Thankfully, Mother’s Day rolls around every year and gives us a chance to show our moms just how much we love them back. Some moms get heartfelt cards. Others get lovely gifts. But no matter how you celebrate this important day, here are 3 inspirational quotes for Mother’s Day. In Vi-An Nguyen’s Parade article, “100 Inspiring Quotes About Moms for 100 Years of Mother’s Day”, she celebrates this milestone by providing 100 inspiring mom-related quotes said over the course of 100+ years. Her list includes moving words from people like Edgar Allen Poe, Leonardo DiCaprio, and Tupac. For a little bit of Mother’s Day history: American President Woodrow Wilson proclaimed it a national holiday in 1914. However, the celebration of moms can actually be traced back to ancient times when giving gifts hadn’t yet become tradition. 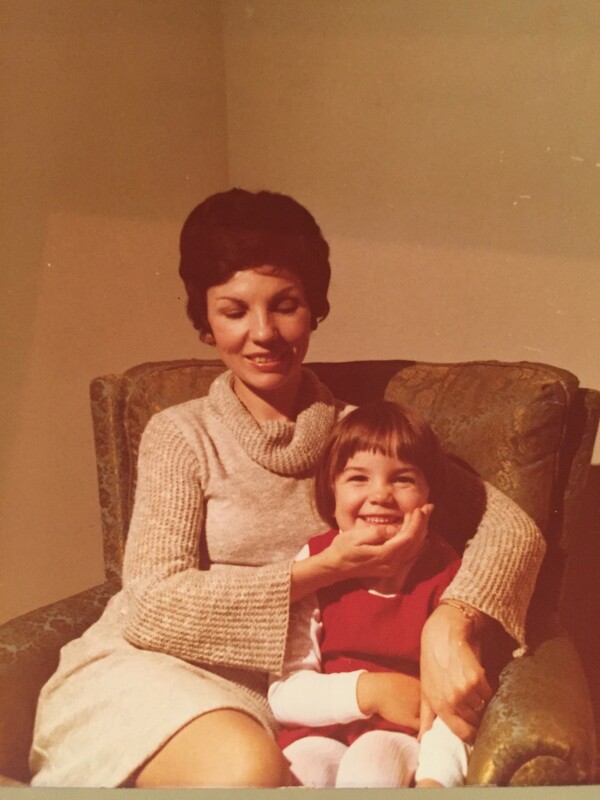 Expressing how much we love our moms in 140 characters isn’t always easy. So why not let some of the greatest wordsmiths do it? In “80 Mother’s Day Quotes to Show Mom You Care”, ProFlowers features quotes that aren’t just inspiring, but also sweet and funny. These quotes made by everyone from Tim McGraw to Dorothy Zbornak (from the Golden Girls) are perfect for helping us remember our moms – and for posting on Twitter! According to Beliefnet’s “Inspirational Quotes About Mothers”, moms are the ones who make sacrifices for our benefit. Not only do they love us unconditionally, they’ll also do whatever it takes to put smiles on our faces. For this, these lovely ladies should be appreciated. The article highlights famous quotes from historical figures like Victor Hugo and Mark Twain, current figures like Michael Jordan and Oprah Winfrey, and cultural proverbs that prove loving your mother never gets old.